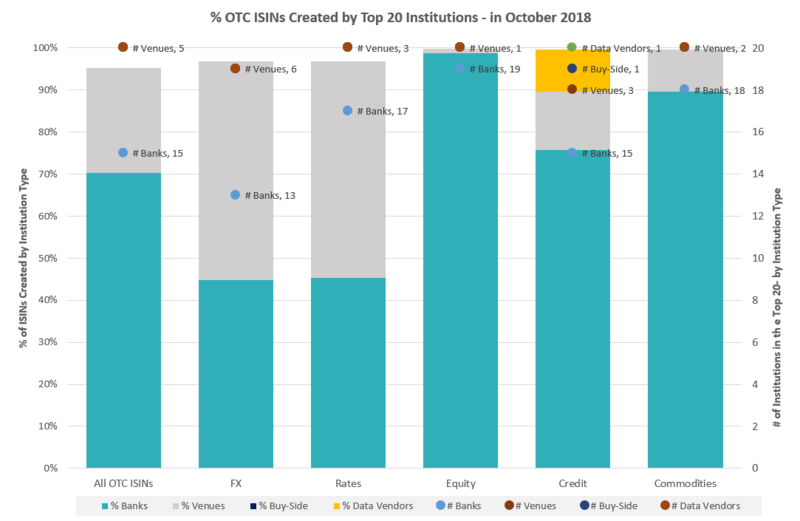 Create Trends – Banks continued to dominate as OTC ISIN creators, with Venues strong in the FX and Rates arena for the month of October. 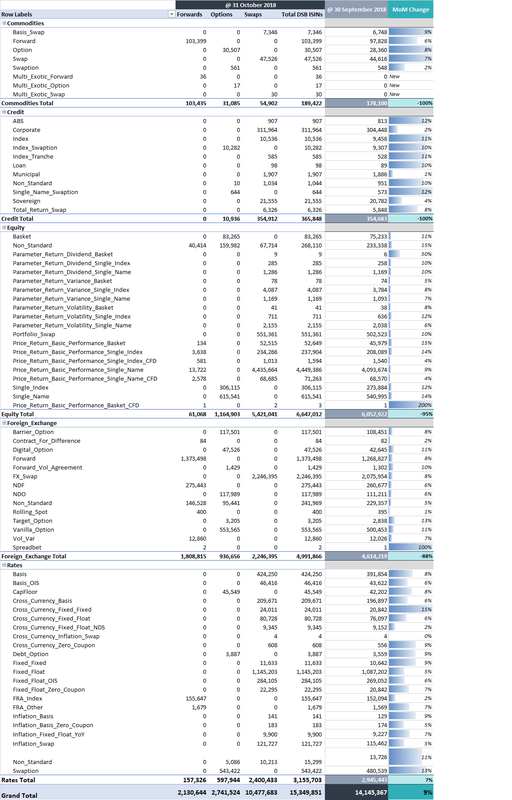 OTC ISIN composition by asset class and instrument are shown below. 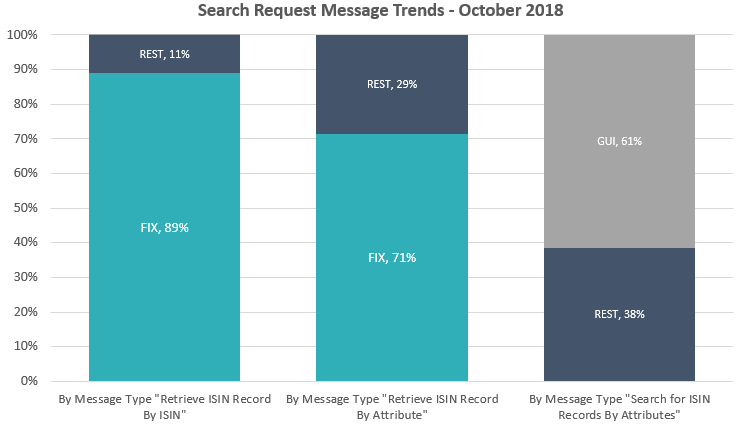 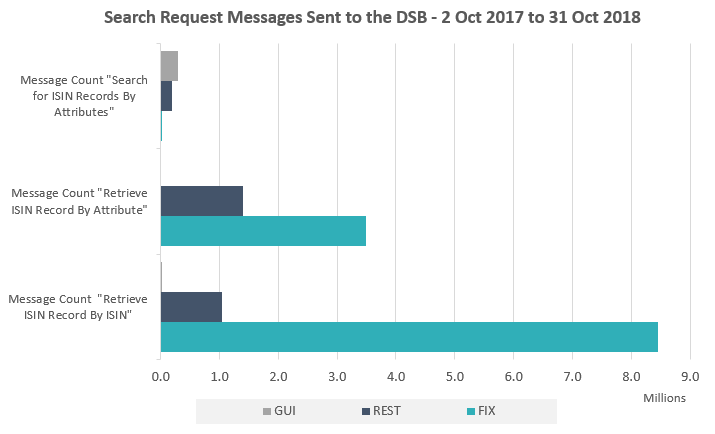 Search Trends – FIX based messaging remains the strong preference for those programmatically connected to the DSB.